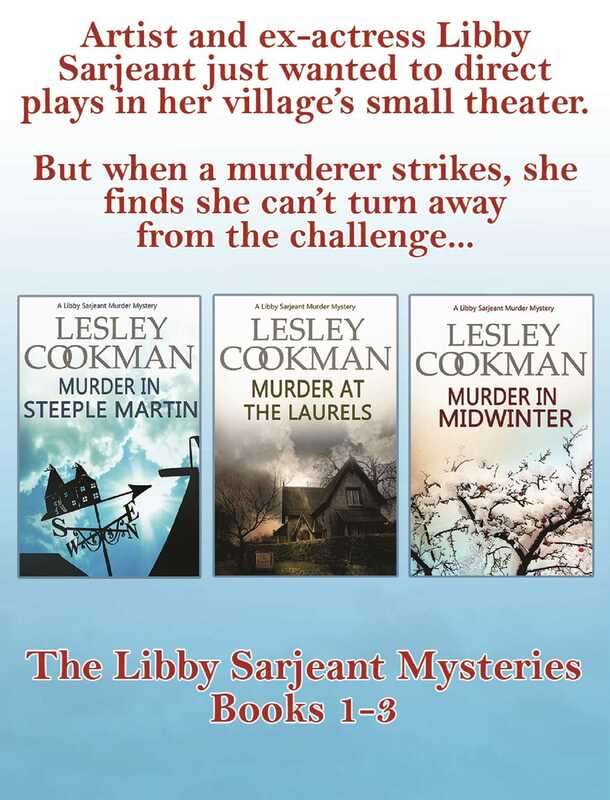 First in a series of British murder mysteries featuring retired middle-aged actress and sleuth, Libby Sarjeant. The play, written by her friend Peter, is based on real events in his family, which took place in the village during the last war. As the investigation into the murder begins to uncover a tangled web of relationships in the village, it seems that the events dramatised in the play still cast a long shadow…dark enough to inspire murder. Libby s natural nosiness soon leads her into the thick of the investigation, but is she too close to Peter’s family to be able to recognise the murderer? Steeple Martin amateur detective Libby Sarjeant’s friend, and sleuthing partner, psychic investigator Fran Castle, suspects that there is something suspicious about the death of her aunt in a nursing home. When Fran’s long-lost relatives turn up and seem either unconcerned or obstructive, Libby and Fran are sure something is wrong, particularly as the will is missing. As usual Libby needs very little persuasion to start investigating, even if she doesn’t see herself as Miss Marple. They discover surprising links to Fran’s own past but, as the murders multiply and the police take over, can the amateur sleuths keep on the trail? Libby Sarjeant and psychic investigator Fran Castle befriend Bella Morleigh, who has inherited a derelict theatre. When an unknown body is discovered inside the theatre, they feel duty bound to help with the investigation. Although Libby is rather distracted by the preparations for her friends’ Civil Partnership ceremony, she’s getting the hang of using a computer to dig for information. However, when a second body is found it is one of Fran’s psychic moments that makes the connection between the deaths; a connection with startling results.